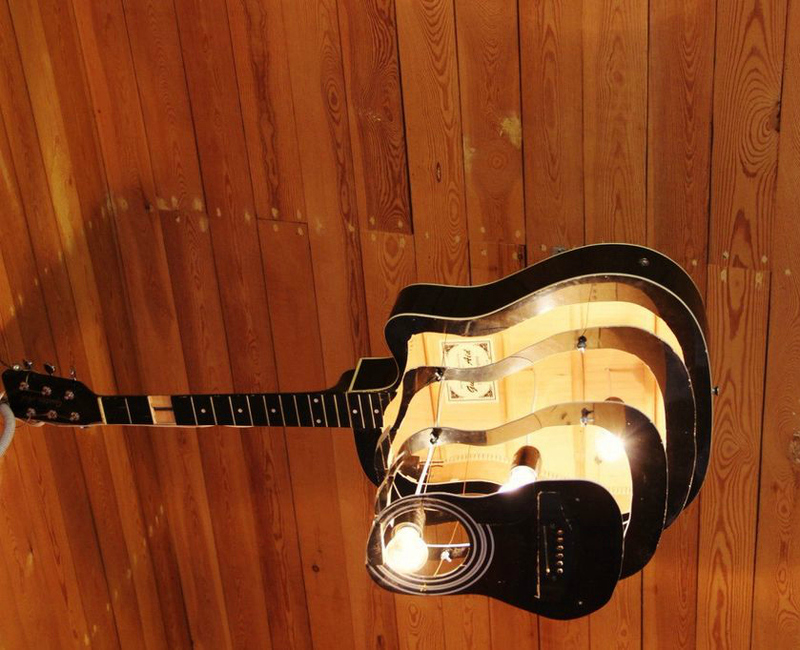 Or if you want to get serious with lighting, see this Instructable. 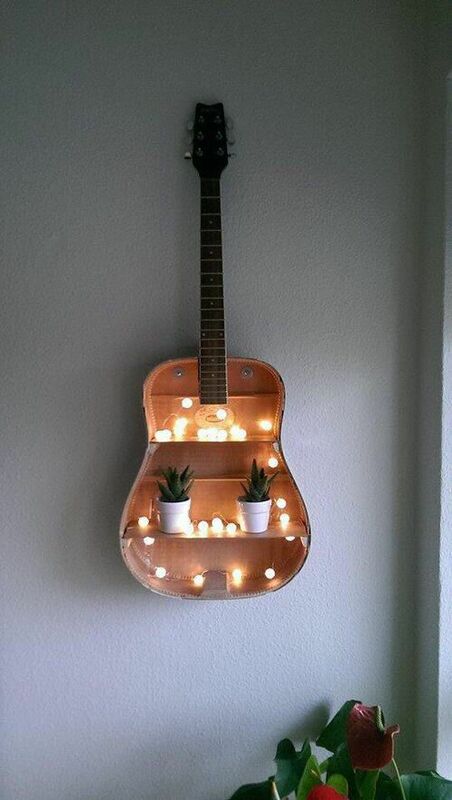 Works pretty well for cacti too! 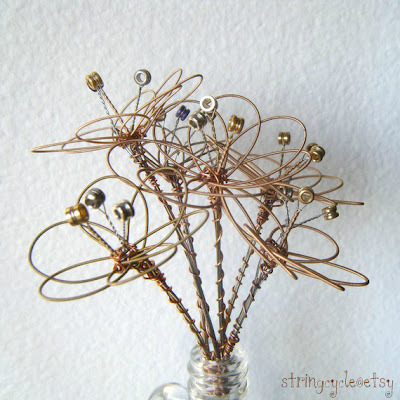 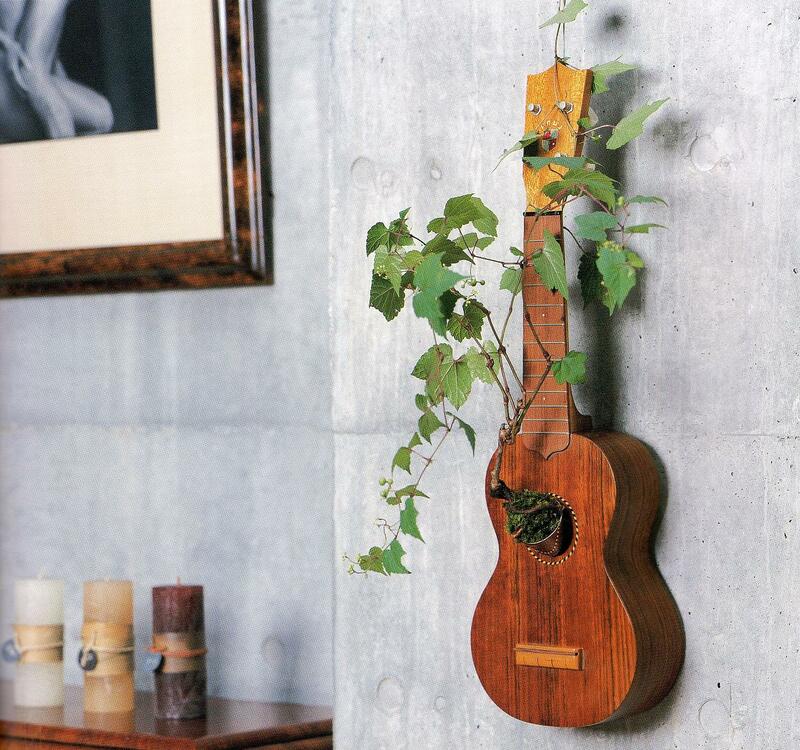 Or hang it on a wall and use it as a planter! 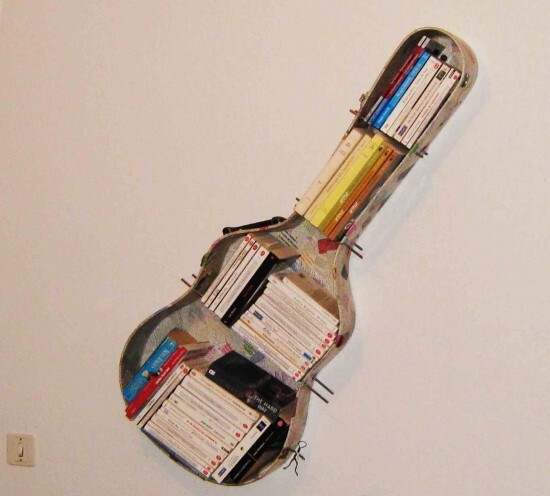 Turned sideways, another great shelf! 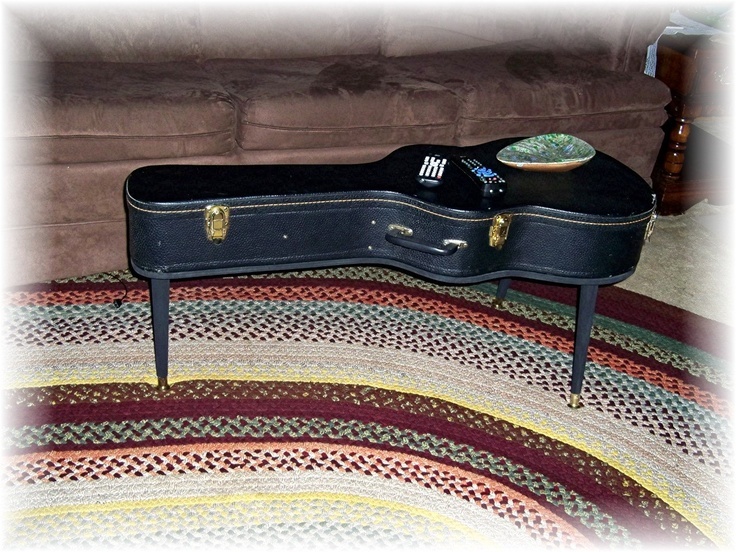 Or how about a coffee table? 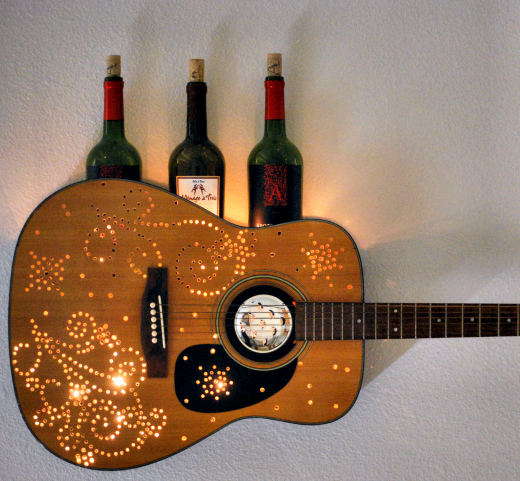 Instructions here. 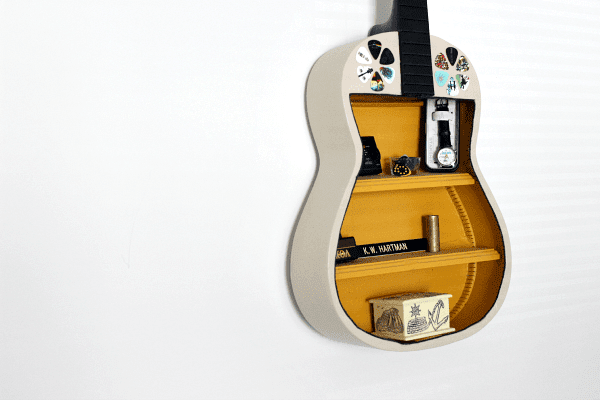 I did a (metaphorical) jig when I saw this project ... turning an old guitar into a speaker seems like a very respectful re-use to me! 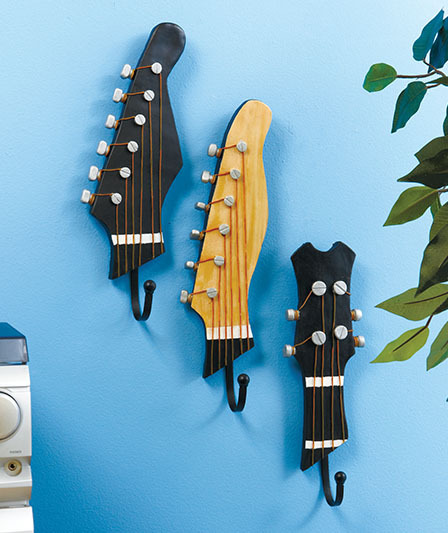 Guitar heads become wall hooks. 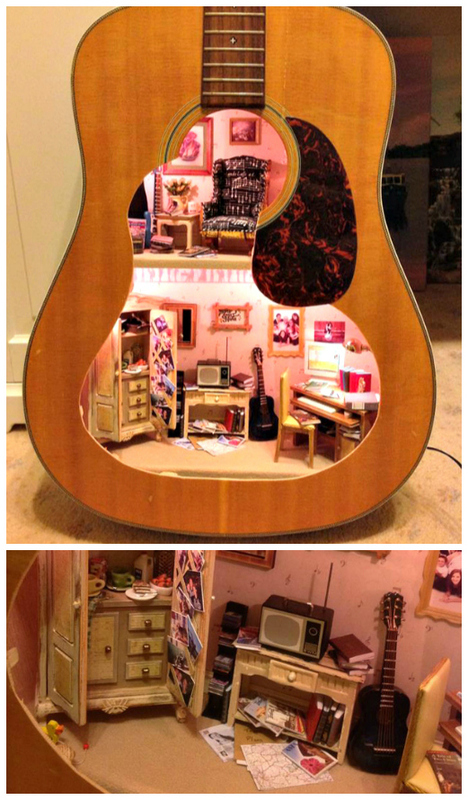 Not a DIY ... but looks infinitely do-able to me! 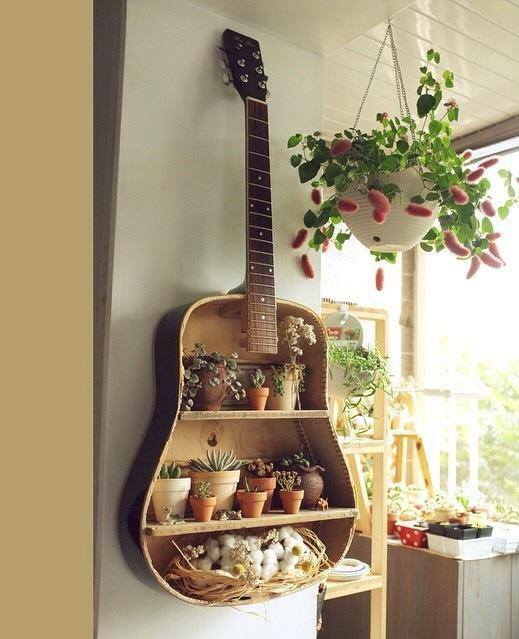 I recently posted a round-up of quirky, urban-garden planters that included a beautiful image of a guitar as part of a rooftop garden. 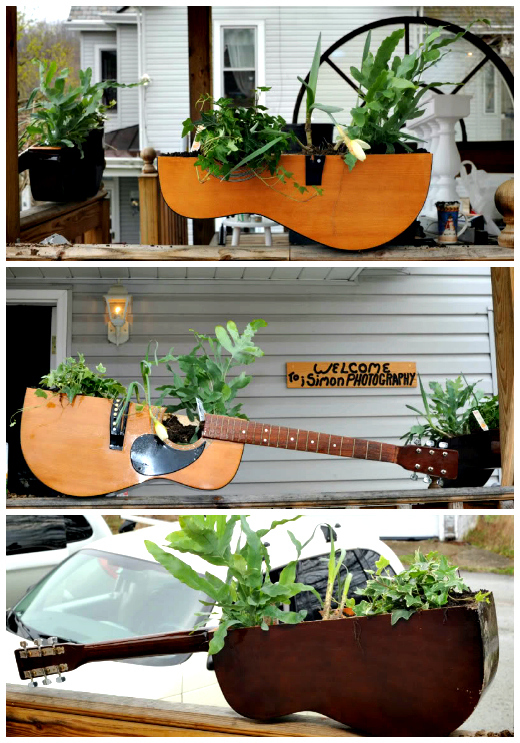 I love the way this guitar planter frames the porch/veranda ... and still looks very much like what it is! 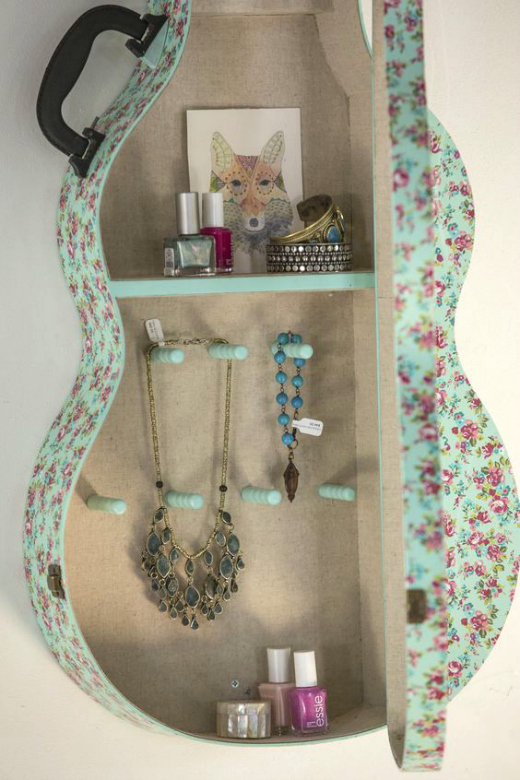 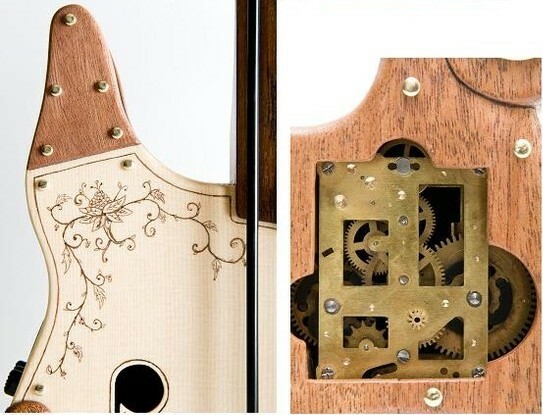 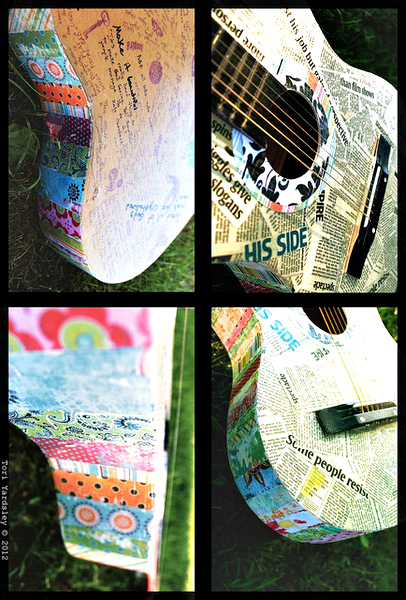 Newspaper, book pages and sheet music can quickly turn an old guitar into a piece of art or a clock! 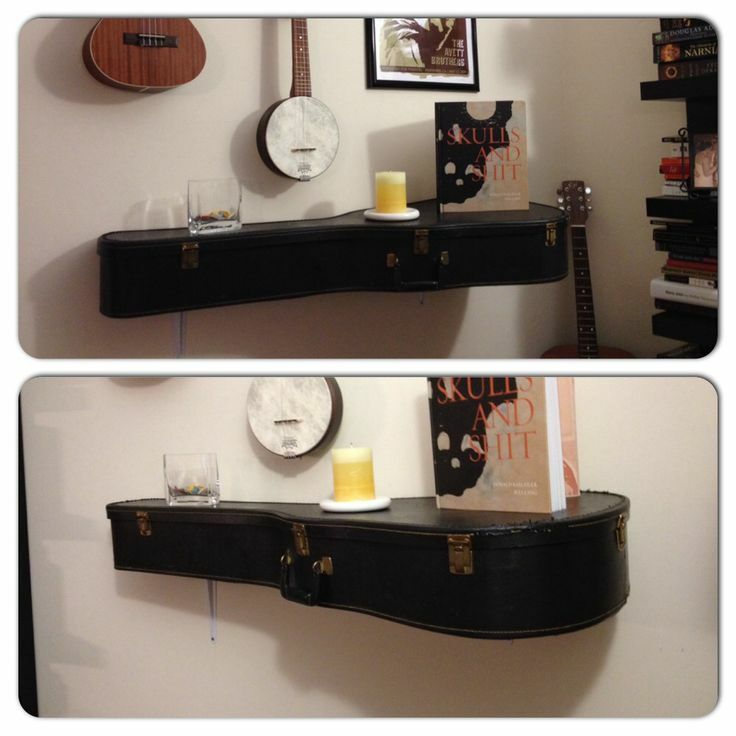 I cannot find the source for table on the right (one of the consequences of Pinterest), but I did find a great YouTube video with a full how-to for the table on the left. 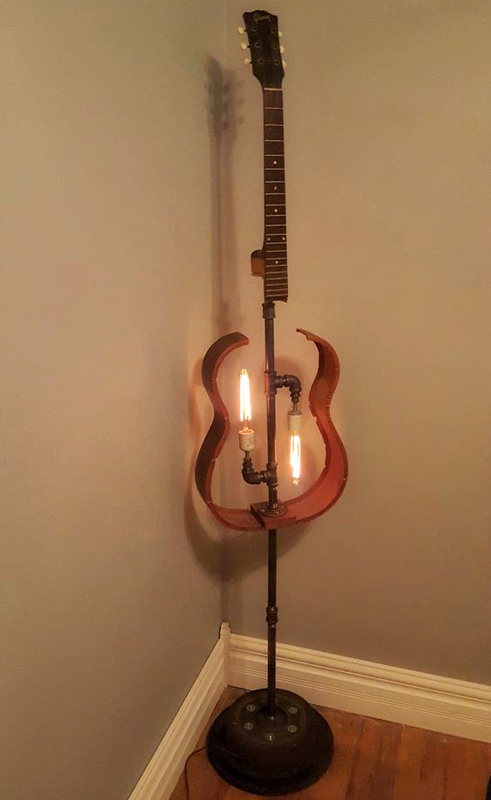 This gorgeous floor lamp isn't a DIY - but you can buy it here. 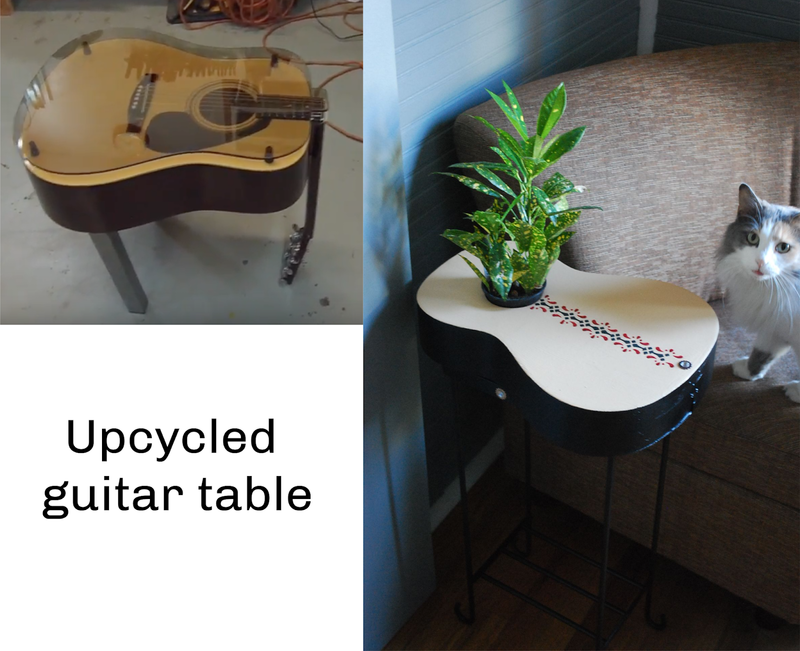 2 comments on "Repurpose: Old Guitars can still Rock!" 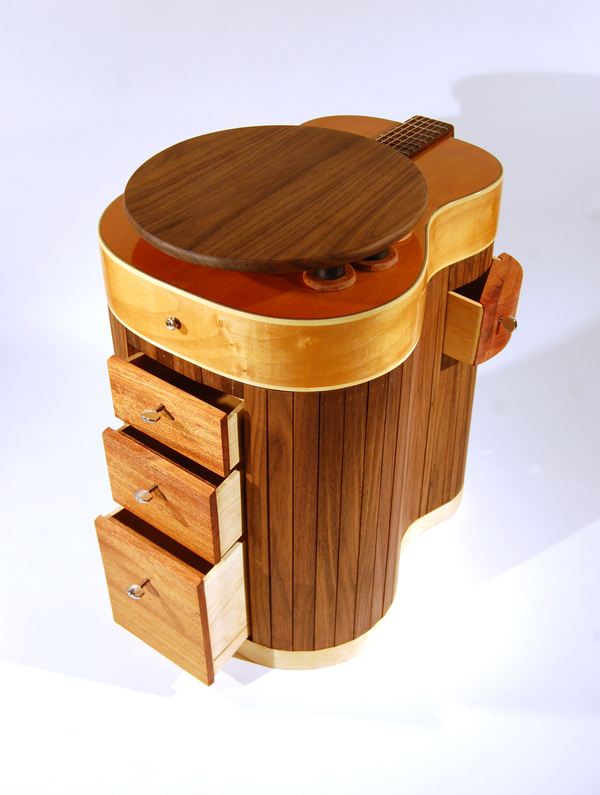 Nice to see that my guitar speaker has sparked some interest. 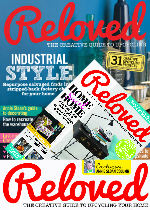 I'll be posting a new upcycled gadget to my site some time next week. 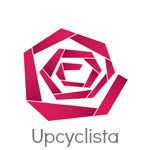 Feel free to have a look. 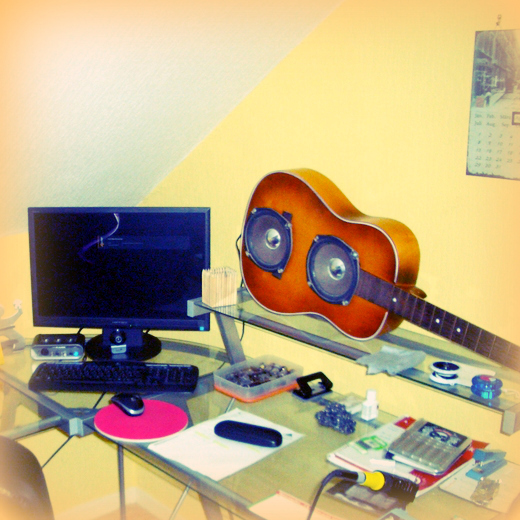 I've upcycled and modified quite a bit.